Want to learn more about law-specific LGBTQ identities? How might working with a client in crisis impact the lawyer herself? What is secondary trauma and compassion fatigue? What are the signs? How to do you prevent it from happening? What viable strategies can be used mitigate or reduce its effects? If you would like lunch please RSVP via Symplicity or gatespsl@uw.edu RSVP by 12:00 pm Monday, February 15, 2016. This training will give an overview of the language and concepts tied to LGBTQ identities, and provide a glimpse into the intersections of queerness and the legal system. Particularly those likely to work with queer/trans people (a.k.a. anyone and everyone). The training will be tailored towards law students and faculty. Erika Bleyl is a queer, mixed, femme 2L with a background in working with queer youth. Last summer they interned with TGI Justice Project and provided legal advocacy for transgender incarcerated people. Nico Quintana is a student at UW Law and a Gates Public Service Scholar. Nico is a queer, trans, chicano activist and policy advocate. Prior to law school, Nico worked on issues of transgender health policy, economic justice and anti-violence work. Wednesday, February 17, 2016 | 12:30 – 1:30pm | Room 207 | FOOD PROVIDED! Promoting an expansive view of a public interest lawyer’s role, low bono or moderate means lawyering stresses the importance of thinking beyond the traditional public service model of facilitating access to justice. Low bono lawyers provide critical legal services to people of moderate means who don’t qualify for traditional free legal aid but also can’t afford to hire attorneys at a full rate. Join us for a community dinner and opportunity for students to connect with and learn from inspiring low bono practitioners at the front lines of an expansive view of access to justice law- yering in the 21st century. Now is an important time for the Supreme Court case Friedrichs v. CTA, which threatens workers’ rights to organize in effective unions. The Court heard oral arguments on January 11. Join us for a special screening of The Right to Unite, our short film highlighting the importance of unions through the stories of two home healthcare workers. Following the film will be discussion about the case and the threat to all workers’ rights posed by the conservative majority. SAVE THE DATE! The 2016 Legal Executives Diversity Summit: Taking Back Affirmative Action – Coordinating Strategic Responses to I-200. Join members of the Washington legal community in discussing the benefits and burdens of I-200 and where to go from here. 1:00 PM AT DAVIS WRIGHT TREMAINE 1201 THIRD AVENUE, SUITE 2200, SEATTLE, WA. Reception following the summit. The International Paralympic Committee (IPC) is the global governing body of the Paralympic Movement. The IPC supervises the organisation of the Summer and Winter Paralympic Games, and serves as International Federation for ten sports, for which it supervises and co-ordinates the World Championships and other competitions. The IPC is committed to enabling Paralympic athletes to achieve sporting excellence and to developing sport opportunities for all persons with an impairment from the beginner to elite level. The IPC aims to make for a more inclusive society for people with an impairment through para-sport and promotes the Paralympic values, which include courage, determination, inspiration and equality. The IPC offers the position of a full-time IPC Legal Counsel (Sport, Regulation & Compliance) (f/m) at the IPC Headquarters in Bonn, Germany, starting as soon as possible. This is a unique opportunity for the appropriately qualified and motivated lawyer to work at the cutting edge of sport and to influence the development of one of the most dynamic sport organisations in the world. If you are interested in the position and your profile meets our requirements, please send your CV and cover letter in English to alexandra.schnurr@paralympic.org (IPC Human Resources Senior Manager) by February 8, 2016. Please also state your earliest possible starting date as well as your salary expectations (please give a precise figure in Euro). The International Migrants Bill of Rights (IMBR) Initiative, based at Georgetown University Law Center, is seeking a program manager to establish and oversee a Secretariat to manage its work promoting the recognition and protection of the rights of migrants through research, education, and advocacy grounded in the IMBR – a comprehensive, coherent articulation of the legal rights of all international migrants. (IMBR job posting_to circulate). The program manager will join the growing Initiative at an exciting time and will be responsible for piloting a new advocacy campaign to promote the IMBR in the Americas and to expand its partnerships in the region. The program manager should be based in Washington, DC, and will receive support from and access to resources at the Georgetown Law Human Rights Institute. Please note this is an 18-month full-time independent consultancy and not an academic appointment. The salary will be $75,750 for the 18-month period. Applications are due by January 29, 2016. More information about the IMBR Initiative can be found here. As part of AHLA’s initiative to cultivate diversity among attorneys practicing health law, the Association provides opportunities for talented law students of diverse backgrounds so they can learn more about this segment of the legal profession. The eight?week internship provides interns numerous networking opportunities with leading health care attorneys, attendance at the Association’s Annual Meeting where top?notch CLE sessions on the latest in health and life sciences law are offered, and various legal research/writing projects for AHLA’s Professional Resources and Public Interest departments. One of the most frequent observations that former interns note about AHLA’s Diversity Internship program is how the experience has opened their eyes to the wide range of career options available to them as aspiring health care attorneys. AHLA is now accepting applications. Application deadline is Monday, February 8, 2016. To apply for this internship, send a formal cover letter and resume to Cynthia Conner, Vice President of Professional Resources, at cconner@healthlawyers.org. Only candidates chosen for an interview will be notified. No phone calls, please. Kids in Need of Defense (KIND) is an innovative partnership among the Microsoft Corporation, Angelina Jolie and other interested philanthropists, law firms and corporate supporters. KIND is dedicated to providing both pro bono representation and positive systemic changes in law and policy to benefit unaccompanied immigrant and refugee children. Launched in fall 2008, KIND is headquartered in Washington, D.C. and has field offices across the U.S.
KIND’s Pro Bono Recruitment and Training Manager will report to KIND’s Vice President for Legal Service and support KIND’s national recruitment and training efforts. The position is based out of the Washington DC office. Some travel to field offices may be required. Find job responsibilities & information about application materials here (Pro Bono Recruitment Training Manager). Service Employees International Union (SEIU) has openings for part-time law clerks and full- and part-time externs during the 2016-2017 academic year, and for full-time law clerks in the Spring of 2016. SEIU is a progressive, dynamic and growing labor organization representing over 2 million members in the United States, Puerto Rico and Canada, principally in the property service, public service, and health care fields. Attorneys in SEIU’s Legal Department engage in innovative lawyering to further the organization’s interests in organizing new workers, improving working conditions, engaging in political action, and achieving social justice. This includes representation of SEIU in litigation before courts and administrative agencies involving the National Labor Relations Act, the Fair Labor Standards Act, election campaign finance laws, and local and state labor relations statutes. Law clerks and externs in the SEIU Legal Department conduct legal research and draft legal memoranda, work with attorneys on pending litigation, attend hearings and conferences, and meet with union leaders. Generally, law clerks and externs are assigned to work in the Legal Department in Washington, D.C. However, a full-time law clerk may be assigned to work at a field location. One or more of the summer clerks will be selected through the Peggy Browning Fund (www.peggybrowningfund.org). Our Children’s Trust is a nonprofit organization seeking law student interns or externs who are interested in using the law to fight climate change. Internships (or externships) can be full time or part time, and the work can be done remotely or in our office in Eugene, Oregon. For the summer internship, preference will be given to law students who can commit to a 10-week, full-time internship. The legal intern will directly support OCT’s legal efforts in local, state, federal, and/or international actions. The intern will be able to choose from a wide variety of projects to work on, which could include assisting attorneys around the country and the world in their legal efforts; working with experts; conducting legal and evidentiary research; drafting legal memoranda; drafting climate recovery ordinances; drafting, reviewing,and editing complaints, briefs, motions, and declarations; and assisting with discovery. We rely heavily on legal interns and externs for these tasks, placing a premium on careful, accurate, and self-directed work. Each intern is responsible for monitoring their own workload. Julia Olson, OCT Executive Director and lead attorney on the case against the U.S. government, supervises the interns, providing themwith varied work experiences and holding regular legal meetings to review and discuss their work. The intern will be exposed to administrative, jurisdictional, statutory, and constitutional issues in multiple jurisdictions. This is an unprecedented opportunity for a law student to be part of a cutting-edge legal strategy and work with some of the top attorneys and scientists from around the world to address the climate crisis. CCLS provides high quality legal services, from advice and brief services to full representation, and education to members of the client community and foster a cooperative and productive relationship with the staff and community groups. A commitment to impact litigation, team work and community lawyering is essential. Provide legal representation to clients consistent with CCLS program priorities. Participate in planning and strategy meetings with project partners. May need to participate in weekly CCLS case review meetings. Identify and analyze systemic issues through individual casework, reviews of the CCLS data and participation in statewide networks of legal services advocates. Interface with other CCLS and California advocates on issues of mutual interest. Co-counsel client cases with other legal staff. Work with client groups and community-based service providers to identify community lawyering opportunities. Participate in community outreach and education events. Adhere to CCLS policies and procedures. Attend continuing legal education seminars and keep abreast of changes in the law. Every year, our Legal Advocate Staff Attorneys provide phone and email assistance to hundreds of people facing diabetes discrimination in every part of the United States. Some are in crisis. They have lost their job, had a child removed from school, or have had a loved one die in detention. Legal Advocates do not engage in litigation. Instead, they empower individuals to engage in self-advocacy. Legal Advocates identify communication issues and sources of conflict. They give people professional information on their legal rights. They identify practical options for resolving problems, and coach them through self-advocacy action steps. When needed, Legal Advocates provide additional empowerment resources, or connect people to a network of attorneys for direct representation. SEIU 775, Washington State’s and Montana’s long term care union, seeks a Deputy Director of Public Affairs / Legislative and Policy Director to help fulfill our mission to unite all long-term care workers, improve the lives of working families and lead the way to a more just and humane society. The Deputy Director of Public Affairs / Legislative and Policy Director is a senior management position responsible for overseeing all Washington state legislative efforts and leading innovative statewide legislative, political, and/or regulatory efforts to advance social justice and improve health and long-term care. The primary role of the Staff Attorney is to zealously represent the client in criminal proceedings, including arraignment, pretrial hearings, trial preparation, plea negotiations, and trial and sentencing. In addition, the Staff Attorney (to the extent possible) is expected to maintain a continuing duty to the client. The Staff Attorney counsels and renders or assists in securing appropriate legal services for the client in matters arising from the original criminal proceedings and maintains contact to ensure the protection of the client’s rights so long as the client remains under court jurisdiction. The Staff Attorney is responsible for the investigation and preparation of assigned cases. The Staff Attorney assists OPD leadership and other staff, as directed, and complies with all legal standards and requirements. Candidates must be third year law students or recent law school graduates. Additionally, candidates will have demonstrated interest in working with individuals charged with criminal offenses from diverse cultural backgrounds and will have the ability to communicate effectively, both orally and in writing. Demonstrated skill in legal research and writing as well as knowledge of and commitment to the national standards of criminal defense are essential. The Department of Medical Ethics and Health Policy at the University of Pennsylvania Perelman School of Medicine is now accepting applications for the Penn Fellowship in Advanced Biomedical Ethics. This two-year program seeks to train academic bioethicists who will be future leaders in the field. Fellows will pursue mentored research and a Master of Bioethics or Master of Science in Medical Ethics degree. In addition, they will obtain training and experience in clinical and research ethics. Eligible applicants must have a doctoral degree (PhD, MD, JD) in hand by May 2016. Previous work in bioethics is not required. Applications will be accepted until December 14, 2015. The Equal Justice Society (“EJS”) is transforming the nation’s consciousness on race through law, social science, and the arts. A national legal organization focused on restoring constitutional safeguards against discrimination, EJS’s goal is to help achieve a society where race is no longer a barrier to opportunity. Specifically, EJS is working to fully restore the constitutional protections of the Fourteenth Amendment and the Equal Protection Clause, which guarantees all citizens receive equal treatment under the law. We use a three-pronged approach to accomplish these goals, combining legal advocacy, outreach and coalition building, and education through effective messaging and communication strategies. Our legal strategy aims to broaden conceptions of present-day discrimination to include unconscious and structural bias by using cognitive science, structural analysis, and real-life experience. Currently, EJS targets its advocacy efforts on school discipline, special education, the school-to-prison pipeline, and inequities in the criminal justice system. EJS has law clerk positions available for Summer 2016 at our office in Oakland (1999 Harrison St. Suite 800, Oakland, CA 94612). EJS law clerks participate in legal research, writing, and analysis in the areas of civil rights and racial justice. In the Fall, LSNC begins its recruitment process for third-year law students preparing to take the California Bar Examination the following summer. For more than fifteen years, LSNC has hired at least one candidate, either through a fellowship or as a regular staff member, from among that year’s law school graduates. Depending upon staffing needs, LSNC may hire for any of its field offices or special projects, including its Auburn, Chico, Eureka, Redding, Sacramento, Vallejo, Woodland and Ukiah offices, through this process. (iii) preparing clients for parole appearances and submitting materials on their behalf. In addition, students may have the opportunity to assist with our other special projects. Interns will have extensive hands-on contact with our clients and their family members and significant responsibilities in all aspects of case investigation and drafting legal documents. The Office of the Solicitor’s mission is to meet the legal service demands of the entire Department of Labor. As the Secretary and other Department officials seek to accomplish the Department’s overall mission, the Office of the Solicitor (SOL) provides legal advice regarding how to achieve those goals. In doing so, SOL ensures that the Nation’s labor laws are forcefully and fairly applied to protect the Nation’s workers. The United States Department of Labor seeks summer law interns in the New York Regional Office of the Solicitor (NY-RSOL). The NY-RSOL provides litigation and legal advisory services to Department of Labor agencies located in New York, New Jersey, Puerto Rico, and the Virgin Islands. This office handles cases arising under the Fair Labor Standards Act, Mine Safety and Health Act, Occupational Safety and Health Act, Employee Retirement Income Security Act, among other statutes, and enforces numerous whistleblower protection laws. The NY-RSOL is responsible for litigating in federal district courts and administrative tribunals; trial attorneys in our office regularly take depositions, conduct discovery, draft and argue pre-trial motions, and litigate cases at trial. Applicants are encouraged to review SOL’s webpage at http://www.dol.gov/sol/. The NAACP Legal Defense and Educational Fund, Inc. (LDF) is currently accepting law student internship applications for Fall 2015. Fall interns will be responsible for legal and policy research, legal writing, policy analysis, monitoring federal legislation and administrative activity, factual investigation, development of educational and outreach material, discovery review, and/or other needs that may arise during the fall. Intern assignments depend on the needs of LDF’s legal and policy staff during the fall semester. The internship positions are unpaid and limited in number. Students are advised to seek credit from their law schools. Fall Interns are expected to work 15 hours per week, but other arrangements may be accommodated on a case-by-case basis. The D.C. Tenants’ Rights Center seeks an attorney to join its growing “low bono” law practice. We are a small, private, public-interest law firm. Our goal is to find ways to provide high-quality legal help that is affordable to any tenant in the District of Columbia. We charge low fees, accept cases on contingency, and offer unbundled services. We assist with repair issues, evictions, withheld security deposits, illegal rent increases, personal injuries, and other disputes with landlords. We also help persons with disabilities facing housing discrimination; and we represent tenants asserting rights under the D.C. Tenant Opportunity to Purchase Act. The staff attorney will advise tenants, negotiate with landlords, and provide representation in all phases of litigation. The attorney will also be involved in developing the firm’s strategies for expanding access to legal services. Legal Aid of Nebraska, a law firm providing free civil legal services to low-income persons, seeks an attorney to serve Native American victims of domestic violence in Western Nebraska. Must be admitted to practice in Nebraska or have a Nebraska license pending, and be licensed or willing to become licensed in the Ponca, Winnebago, Omaha and Santee Tribal Courts. This position entails extensive travel throughout panhandle and Cherry counties. Become a part of a prestigious and elite Agency created by Congress in 1935, to administer the National Labor Relations Act, the primary law for relations between unions and employers in the private sector. The National Labor Relations Board (NLRB) is an independent Federal agency that has daily impact on the way America’s companies, industries and unions conduct business. The incumbent serves as General Attorney (Labor), responsible for the preparation and litigation of assigned enforcement and review cases. These cases are nationwide in scope and affect all segments of industry, both employers and employees. Assignments also include cases which are extremely difficult because of legal and factual issues. 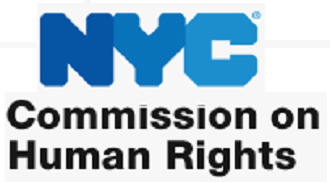 The Commission on Human Rights (CCHR) is the agency charged with enforcing the New York City Human Rights Law (NYCHRL) – one of the most expansive civil rights laws in the nation which prohibits discrimination in employment, public accommodations, and housing for a variety of protected categories, and prohibits bias-related harassment and bias-based profiling. The Policy Counsel will work within the Office of the Chair of the Commission to develop and draft legal guidance, proposed rules and regulations, research proposed legislation, and collaborate with community stakeholders, other government agencies, and elected officials on proposed legislation amending the NYCHRL and policies relating to the NYCHRL. The IAF Program is only open to mid-career professionals who have a demonstrated commitment to a career in foreign policy. The program welcomes applicants from a broad range of professional, academic, and personal backgrounds. While a PhD is not a requirement, selected fellows generally hold an advanced degree and possess a strong record of work experience as well as a firm grounding in the field of foreign policy. The program does not fund pre- or postdoctoral research, work toward a degree, or the completion of projects for which substantial progress has been made prior to the fellowship period. Qualified candidates must be U.S. citizens and permanent residents who are eligible to work in the United States. CFR does not sponsor for visas. The Litigation Group is looking for a bright, energetic lawyer to coordinate the Project and work on Supreme Court cases for one year, beginning late-August 2016. Most of the cases on which we work are civil rather than criminal. Most of our work at the petition stage involves assisting the party who won below in preparing an opposition to the petition for certiorari, to keep the case out of the Court and thereby preserve a victory. The fellow reviews all paid cert. petitions. Working under the direct supervision of the Litigation Group director, the fellow makes an initial judgment about whether the case is of interest to the Project and prepares a memo and recommendation about whether to offer assistance. Considerable legal research and analysis are often required to determine whether assertions in the petition, such as a conflict among the courts of appeals, are supportable. The fellow then makes an initial contact with the attorney to whom help is being offered to explain the Project and the assistance that we can provide. In addition, all cases accepted by the Court for full review are considered for possible assistance by the Project. When an offer of help is accepted, a Litigation Group attorney assumes principal responsibility for the case within the office. The Public Policy Litigation and Law Department of Planned Parenthood Federation of America (PPFA) seeks 1L and 2L law student interns for its New York and Washington, D.C. offices for the summer of 2016. Our litigation docket includes federal and state court challenges to laws and policies that restrict access to abortion and other reproductive health services. We also initiate litigation designed to expand access to reproductive health services and to protect providers of those services. Interns can expect to work closely with PPFA attorneys on a wide variety of litigation responsibilities, including legal research and analysis; drafting memoranda, pleadings, affidavits, and briefs; factual development for ongoing or developing litigation; and communicating with clients. The internship is open to first and second year law students. Successful applicants will have enthusiasm, excellent research and writing skills, and a demonstrated interest in reproductive rights, related issues, or public interest law. Cohen, Weiss, and Simon LLP is a full service union-side labor, employee benefits, and employment law firm. The firm represents national, regional and local labor unions, pension plans, and the interests of employees in a wide variety of matters. Applicants should have strong research and writing skills. Course work in labor law, employment law and/or ERISA is preferred. Experience working for a labor union as well as journal and/or moot court experience is desirable. Compensation is $25/hour. The intern works directly for Chief Judge Ted Strong. All work assignments will be issued by the Chief Judge at the beginning of each work week by personal discussion. On any given week the intern will be asked to attend both criminal and civil court hearings with the Chief Judge for the purpose of assisting in the writing of court orders. The intern will conduct research to assist the Chief Judge in his writing of motions mostly in criminal court such as dismiss for lack of properly stated crime; suppression of evidence; dismiss for improper arrest; dismiss or combine charges based on duplicity; dismiss for lack of jurisdiction; and many other motions. The intern will be asked to publish court orders, motion orders and tribal traditional orders. At times the intern will assist the Chief Judge in preparing materials for public speaking engagements and researching materials for public meetings with various officials. The intern will be asked to help arrange electronic files in chronological or other order. The intern will assist the Chief Judge in writing the Yakama Nation Bar documents. To apply, submit a resume and cover letter to Chief Judge Strong at tstrong@yakama.com. The Alaska State Commission for Human Rights is seeking a qualified individual to investigate and resolve discrimination cases. The Human Rights Commission is located in Anchorage and is an executive branch agency within the State of Alaska, Office of the Governor. The Commission is seeking an investigator (Human Rights Field Representative III) to analyze facts, apply discrimination law theories, draft determinations, negotiate settlements, and manage a monthly case load of approximately 35 cases. The investigator will also conduct intakes with Alaskans who allege violations of the state human rights law, draft complaints of discrimination, conduct witness interviews, and write reports. This position requires skill in reading and understanding civil rights statutes, court decisions, and legal precedents. This position also require the ability to conduct impartial investigations, analyze evidence, draw logical conclusions, prepare clear and comprehensive investigative reports, and work independently. Knowledge of civil rights law and procedure and theories of discrimination is required. One year of experience as a Human Rights Field Representative II with the State or the equivalent elsewhere is required. The Center for Justice and Accountability (CJA) is now seeking applications for legal internships at our San Francisco headquarters for Fall 2015. CJA is a nonprofit international human rights organization with the mission to end torture, war crimes, crimes against humanity and other severe human rights abuses around the world. We generally accept second and third-year law student interns each semester and during the summer and winter terms to work at our offices in San Francisco. Exceptional first year law students may be considered for the summer term. These positions are unpaid. The U.S. Department of Justice is the principal federal agency charged with enforcing federally protected civil and constitutional rights. The Civil Rights Division (CRT or Division) is primarily responsible for enforcing federal statutes and executive orders that prohibit, among other things, unlawful discrimination in education, employment, housing, police services, accommodations and facilities, voting, and federally funded and conducted programs. The laws that the Division enforces also prohibit conduct by law enforcement agencies, as well as conditions of public residential institutions, such as health care and correctional facilities, that violate the constitution. The Division is led by an Assistant Attorney General (AAG) who is supported by five Deputy Assistant Attorneys General (DAAGs). Each DAAG is responsible for reviewing the work on policy issues and other matters related to the sections he or she supervises. The Northern California Innocence Project (NCIP), a clinical program of Santa Clara University School of Law, seeks an attorney to focus on investigation and litigation of post-conviction claims of innocence. NCIP’s mission is to promote a fair, effective and compassionate criminal justice system and protect the rights of the innocent. Reporting to the Assistant Legal Director, the Staff Attorney is a full-time one year fixed term position, with the possibility of extension depending on funding. Responsibilities include investigating inmates’ claims of innocence, litigating those claims, representing inmates in court, and assisting in all aspects of NCIP’s law practice. To apply, click this link. THE NEIGHBORHOOD DEFENDER SERVICE OF HARLEM (NDS) is a community-based, holistic public defender office located in Harlem. NDS represents residents of Northern Manhattan who are charged with crimes who cannot afford to hire a lawyer. Clients are represented by teams composed of lawyers, investigators, social workers, and team administrators. NDS also provides pre-arrest representation to clients under threat of arrest. NDS adheres to a client-centered approach to representation that emphasizes a heightened responsiveness to clients’ needs prior to arrest, while a case is pending, and after the case concludes. NDS seeks to hire one or more recent law school graduates for the NDS Fellows Program. The positions will be available beginning Fall 2015 and will continue through Fall 2017. Applicants who have not yet graduated from law school will be considered and should apply if interested. NDS Fellows will assume the responsibilities of a Staff Attorney, representing clients on misdemeanor cases. This includes appearing in court at clients’ arraignments, regular court appearances, plea negotiations, hearings, and trials. NDS Fellows interview clients and their families in the office or the local jails, conduct legal research, and write pre-pleadings, motions and pre-sentencing memoranda on behalf of clients. NDS Fellows will also spearhead and coordinate work performed by team members (investigators, social workers, team administrators). Interested applications should email a cover letter, resume, and writing sample to Mary Clare Patterson at mcpatterson@ndsny.org with the subject line, “NDS Fellows Fall 2015.” Please send your application as one document, preferably PDF. For more information about NDS, please visit our website at www.ndsny.org. Legal Aid Society of Orange County (LASOC) is a 501(c)(3) non-profit organization that was founded in 1958 for the purpose of providing civil legal services to low income individuals and seniors. It has two offices in Orange County and two offices in Southeast Los Angeles County, where it is known as Community Legal Services (CLS). LASOC/CLS seeks an energetic, motivated and well-organized STAFF ATTORNEY to support its Norwalk & Compton Offices. Under the supervision of the Directing Attorney, the Staff Attorney will support LASOC/CLS and assist clients with a variety of civil law matters such as housing, family law, dissolution of marriage, paternity, IEPs, administrative law hearings, request for orders, domestic violence restraining orders with emphasis on client representation. This position is available in the Compton office and requires that the attorney occasionally travel to the Norwalk office. Candidate must have the ability to work in a fast-paced environment. Key coordination and communication is necessary with the Director of Litigation, the Directing Attorneys, support staff, and various Program Managers/Directing Attorneys and outside agencies. The attorney will occasionally serve on the Hotline to provide advice and supervision for Hotline intake. This position requires a dedicated, professional, highly organized, and detail-oriented attorney who has a strong academic background and some evidence of commitment to dealing with the problems of the poor. Salary commensurate with experience. TO APPLY, SEND RESUME AND COVER LETTER TO IRIS MA AT IRISMA@LEGAL-AID.COM. Position is open until filled. EOE. Interested in spending an exciting summer in one of our Regional Offices (Atlanta, Boston, Chicago, Dallas, Denver, or San Francisco), while obtaining meaningful work experience? The Federal Labor Relations Authority (FLRA) is seeking energetic, highly motivated students enrolled in an accredited law school to fill our summer law externship positions in one of our regional offices. This is an opportunity for you to gain professional legal experience and exposure to public service while enhancing your educational goals and shaping your career choices. Summer 2015 externship positions are available with the FLRA with an anticipated start shortly after Memorial Day 2015, and not-to-exceed August 28, 2015. The selectees are expected to work a full-time schedule of 40 hours per week.You will be involved in a variety of assignments with attorneys in the respective regional office. You will perform entry-level legal assignments in support of the mission of the agency. You will conduct legal research and analysis on questions relating to federal labor relations law and other federal laws; write memoranda, response letters or other legal documents; summarize cases and relevant information; assist staff attorneys with the preparation of briefings and hearings; and perform other duties as assigned. 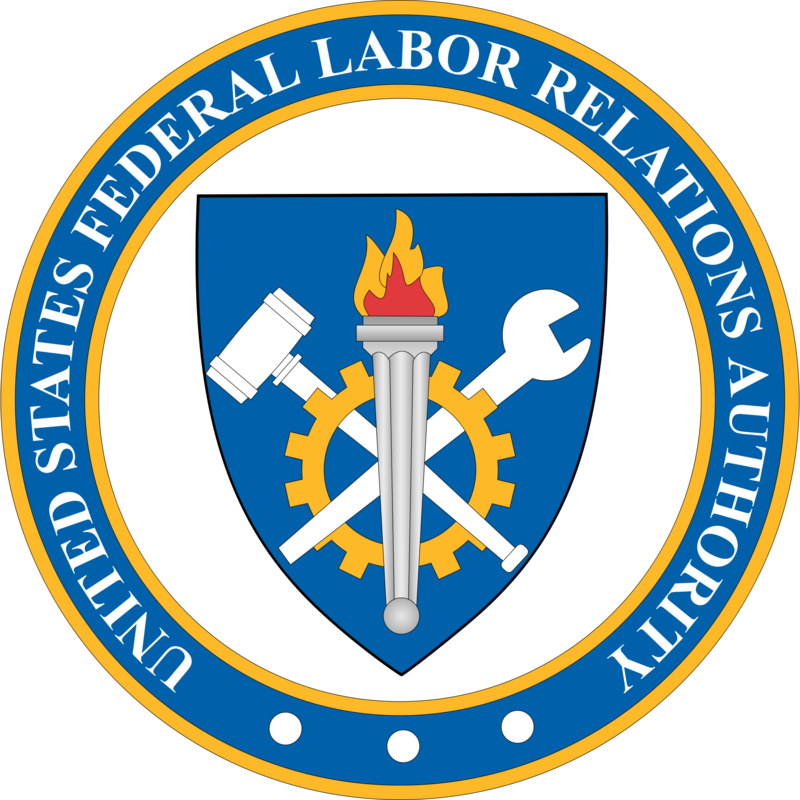 The mission of the FLRA is to promote stable, constructive labor-management relations in the federal government by resolving and assisting in the prevention of labor-management disputes in a manner that gives full effect to the rights of employees, unions, and agencies. Externships will be available in the Office of the General Counsel Regional Offices. For more information on each of these offices, please visit the FLRA’s website at www.flra.gov. The Center for Justice and International Law (CEJIL) seeks a bilingual (Spanish/English) Attorney to litigate human rights cases before the Inter-American System for the Protection of Human Rights. This position will be based in Washington, D.C. Established in 1991 by a group of prominent Latin American human rights defenders, CEJIL is a non-governmental organization whose mission is the promotion and protection of human rights in the Americas through the use of the Inter-American Human Rights System and other international mechanisms of protection. Columbia Legal Services seeks a full-time Staff Attorney to work in our Basic Human Needs Project, which protects and defends the rights and benefits of all Washington residents living in poverty. Our Staff Attorney will provide systemic, multi-forum legal advocacy for low-income clients dealing with housing, health care, and financial support, and serve as the primary staff member supporting elderly clients in areas of: long-term care, federal and state public benefits, guardianship and substitute decision-making tools, bankruptcy and consumer fraud, elder abuse and exploitation, and general elder law matters.